Behind the Bar | SoHo Memory Project. As many of you have probably already heard, Kenneth Reisdorff, known locally as Kenn from Bob and Kenn’s Broome Street Bar, passed away on February 26 at the age of 92. The Broome Street Bar is a SoHo institution, and Reisdorff was its fearless leader for 42 years. Born in Seattle in 1921, he served in the Marines and fought in World War II before studying at the Royal Academy of Dramatic Art in London on the GI Bill. It was there he met Berenice “Berry” Kruger, whom he married in 1951. After traveling through Europe they came to the US and settled in downtown New York City where Reisdorff worked as a cabinet maker and his wife a model before they each opened bars in the neighborhood that would become social hubs for SoHo artists. Residorff opened the Broome Street Bar at Broome and West Broadway in 1972 and Kruger opened the eponymous Berry’s on Spring at Thompson soon thereafter. And the rest, as they say, is history…. 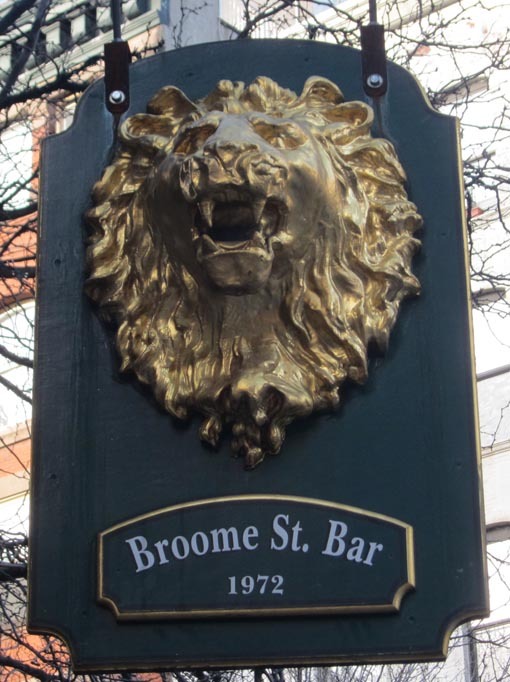 What is now called the Broome Street Bar was actually started by John Freeman and Kenn Reisdorff and was named “Kenn and John’s.” Prior to that it was called “Tony’s Bar” and served the surrounding Italian neighborhood. Tony was killed by a gunshot through the front window of his bar. 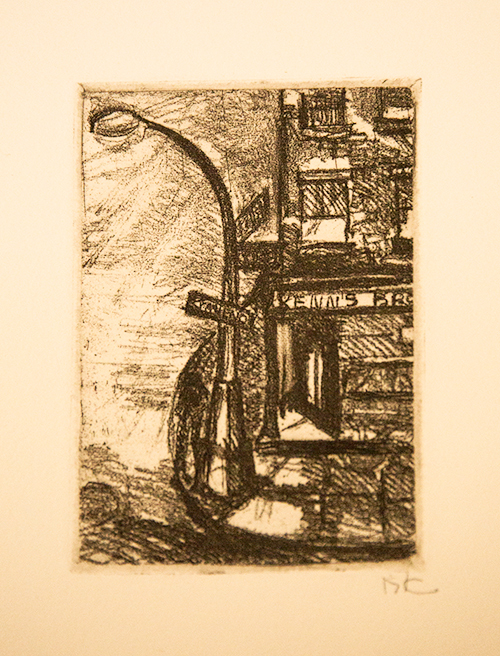 Freeman saw an opportunity and pitched the idea for an artist’s bar to Reisdorff. Kenn and John’s initial concept for the bar was a quiet watering hole for the new and rapidly expanding artist’s community then flourishing in what had recently become known as SOHO. They wanted an interesting selection of imported beer and ale on tap, newspapers from around the world, chess, checkers and a good old fashioned burger. That idea lasted until the day of the bar’s grand opening when hundreds of people, young and old, Italian’s from the Brooklyn AND lower Manhattan families, artists and tradesmen managed to consume 20 kegs of Andecker beer. 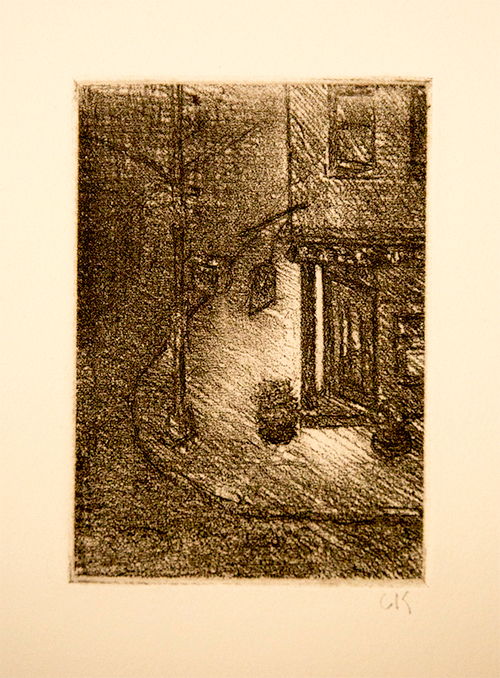 The mail bags of most of the postmen from 10013 laid outside on the sidewalk under the bar’s windows until late into the night that day. No mail was delivered, there was a party at Kenn and John’s. From then on interesting and colorful people of all persuasions packed the little space like sardines stuffed in a can. Neither Freeman nor Reisdorff had any business savy and Kenn’s brother Bob volunteered to lend a hand in that regard. That quickly led to a falling out between John and Kenn and in less than six months Freeman was bought out of the business. These accounts combined complete the colorful history of the Broome Street Bar. Housed in what might be the oldest building in SoHo dating from 1825 with shutters and slanted roofs, it is certainly one of the quaintest-looking buildings in the neighborhood. It is also one of the only places that still remains from “old” SoHo, before the artists and galleries moved away and were replaced by boutiques and restaurants (and million dollar lofts). There are rumors floating around that the bar will close at the end of the year, and with it would go all traces of its rich history. In the ’70′s, Kenn and Bob’s was such a friendly place, my little daughter could go there and “wait for me” to meet her after work before we went home across the street. We could leave our keys there for friends to pick up. We could say, “Would you hang on to this back pack, book, sweater, or whatever had been left behind at our house until so and so comes by?” “Can I use the phone?” As a single working mom, making those swaps, having a safe meeting place and a place to run into friends for a beer while the kids colored, was such a boon in that hectic life of logistics before cell phones. We were truly a neighborhood then and Kenn and Bob’s was a pivot point. I used to go in there before the Reisdorf's took over. As I recall, before that it was a run-down joint called (somebody's) Clam Bar. Sometime in 1972 it suddenly closed, after which there was a sign in its window declaring, "Closed Due to Illness." The "illness" was a serious one, since the previous owner had been killed, reputedly (as I was told) because he had gambling debts that he somehow "forgot" to make good on. It would be wonderful to hear from others about their memories of Reisdorff and The Broome Street Bar. Although I did not know him personally, stories about him make him larger than life in my imagination, a kindly cowboy saloon keeper from the wild wild West Broadway that was SoHo in the 1970’s.